Critics claim the change does little to boost the administration's Iran policy. The Trump administration is launching a new task force to focus on Iran, highlighting the threat from the country as a top foreign policy priority. Secretary of State Mike Pompeo announced his team would spearhead the Iran Action Group to coordinate all "Iran-related activity" across his department and the federal government. The group, led by the new Special Representative for Iran Brian Hook, "will drive daily progress" toward the administration's goal of changing Iran's behavior, from support for groups like Hezbollah and the Houthi rebels to pursuit of ballistic missiles and nuclear capabilities, Pompeo said. But critics charge the change does little to boost the administration's Iran policy, which has isolated it from European allies and done little to alter Iran's activity in the Middle East. In May, President Donald Trump withdrew the U.S. from the nuclear deal between Iran and six world powers that restricted its nuclear pursuit in exchange for sanctions relief. The Trump administration said the deal, formally known as the Joint Comprehensive Plan of Action or JCPOA, was insufficient because it did not deal with Iran's other "malign activities," or ultimately stop Iran from developing a nuclear weapon. In its place, Pompeo said the U.S. is pursuing a "campaign of pressure, deterrence, and solidarity with the long-suffering Iranian people" to force the Iranian government to meet 12 points that Pompeo laid out in a speech in May. That includes sanctions that snapped back into place 10 days ago on precious metals, Iran's currency and the automobile sector, and more sanctions that will snap back on November 5, on Iran's oil exports and central bank and financial transactions. In particular, Hook will also be tasked with building international support for the administration's new campaign -- a tall task as European allies have consistently criticized the decision to withdraw and taken steps to protect European companies from U.S. sanctions. Other countries, like Russia and China, have said they will continue their business with Iran, including the purchases of Iranian oil that are crucial to Iran's economy. 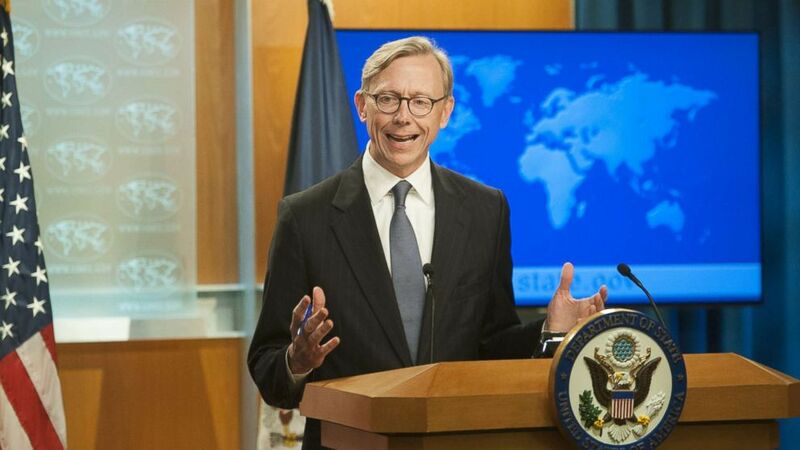 (Rod Lamkey/Getty Images) Director of Policy Planning Brian Hook fields questions from journalists during the announcement of the creation of the Iran Action Group at the Department of State on Aug. 16, 2018 in Washington. Hook told reporters Thursday the U.S. has "a lot more diplomatic freedom" outside of the deal, but so far it remains alone in withdrawing and lonely in its pursuit of economic pressure. In the face of that opposition, State Department teams have visited 24 countries to explain U.S. sanctions and demand that countries reduce their Iranian oil imports to zero by November 5 or face U.S. sanctions, Hook said, adding, "That work will continue in the coming months." Before Trump withdrew from the JCPOA, Hook had been the lead negotiator with European allies, trying to come up with a side agreement that would keep the U.S. in the deal. After months of talks that made real progress, the U.S. walked away and Trump pulled the U.S. out because the administration wanted to make changes that the Europeans saw as violating the deal's terms. "We didn't get there," a senior State Department official said at the time. Critics say that Hook lost his credibility with those countries -- France, Germany, and the United Kingdom -- because of that: "Hook alienated allies in negotiations in the run up to America's withdrawal from the Iran Deal... They will not view him as a credible counterpart," said Brett Bruen, a former diplomat who served as White House Director of Global Engagement and now president of the Global Situation Room. But Hook said that he had meetings in London with senior officials from the three countries Wednesday and that allies around the world share U.S. concerns about "the range of Iranian threats, especially around missiles and cyber, maritime aggression and terrorism." A European diplomat in Washington told ABC News that the past negotiations were not a problem for future talks: "We have very good relations with Brian Hook, and I don't think it'll impact how we work with him," they said. Still, there is concern that the Trump administration is seeking to undermine or even overthrow the Iranian regime, despite consistent denials from the administration that regime change is what they're pursuing. The announcement of the Iran Action Group even came at the same time as the 1953 American- and British-backed coup that overthrew Iran's first democratically elected government -- something Hook called a "coincidence." (Handout via Reuters) Iran's Supreme Leader Ayatollah Ali Khamenei is seen at the Hussayniyeh of Imam Khomeini in Tehran, Iran, Aug. 13, 2018. 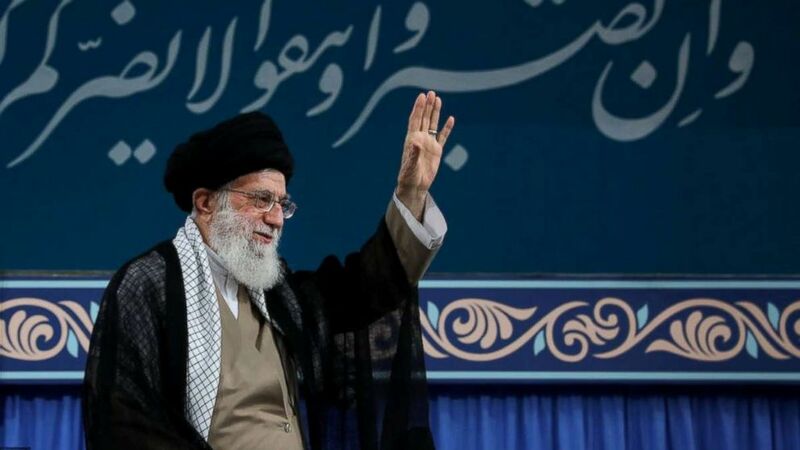 The administration says it is still open to direct talks with Iran to reach a "new agreement," but Iran's supreme leader Ayatollah Khomeini rejected that earlier this week, saying the country will never negotiate with the Trump administration. Khomeini and his regime have faced a wave of consistent protests since December over the economic troubles that have gripped Iran. Either way, the Iran Action Group will seek to strengthen that mission by more closely coordinating the administration's policy. Critics say it will make little difference. Bruen called it "a typical Washington move to create the appearance of action by putting [it] in the title," while Robert Malley, the senior White House advisor for the JCPOA negotiations, said in a statement, "Better inter-agency coordination to implement a policy that is rooted in wishful thinking about the imminent collapse or surrender of the Iranian regime and a non-existent international consensus won't make the United states any safer." Hook has been the department's Director of Policy Planning, the in-house think tank that debates and develops policies on the world's challenges. Under former Secretary Rex Tillerson, Hook and his team took on an outsized role and often sidelined the department's rank and file. While Pompeo kept Hook on initially, he will now transition out of that role and focus solely on the Iran Action Group, a senior State Department official said. In his place, Pompeo is expected to bring on board Kiron Skinner, a foreign policy academic who advised Newt Gingrich and Mitt Romney's presidential campaigns. A Fox News contributor, she also served on Trump's transition team and briefly at the State Department at the start of his term. It's unclear when that transition will take place.